1. 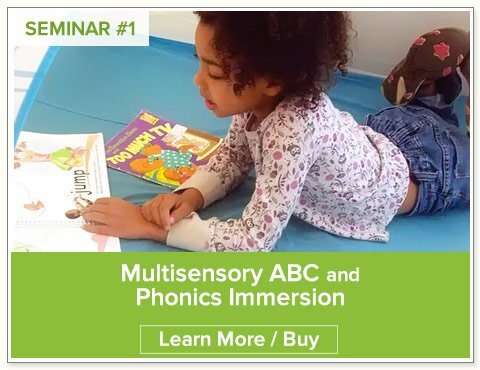 Invite potential study group teachers to peruse the ABC Phonics, Handwriting, and Sight Word pages at NellieEdge.com. 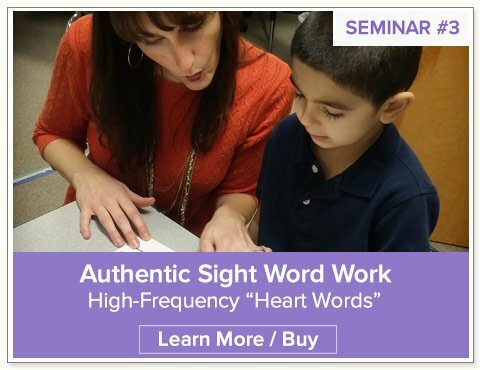 Would you like to make these authentic literacy lessons routine in your classrooms? NEOS is the easiest, most cost-effective way to make that happen! $49.00 for single seminars, or $119 for 3 online seminars. Save $30! 4. When planning for your (PLC) time, build in time for teachers to download templates and organize props, parent letters, and lessons. Read suggested practicum projects: depending on my professional goals, a teacher could easily spend 10-15 hours (and up to 45 hours!) completing meaningful follow-up work for each NEOS topic. Putting together these authentic resources that you can use in your classroom will take time! 5. If possible, prior to the first study session, print for each teacher the 130+ page step-by-step Power Guide book (individual pages or 4 slides to a page, horizontal). Have it spiral bound. 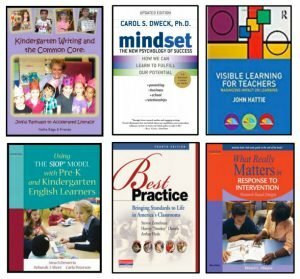 Teachers can use these books (along with sticky notes) as they study each seminar individually and generate comments and questions for discussion when the group meets each week. 6. 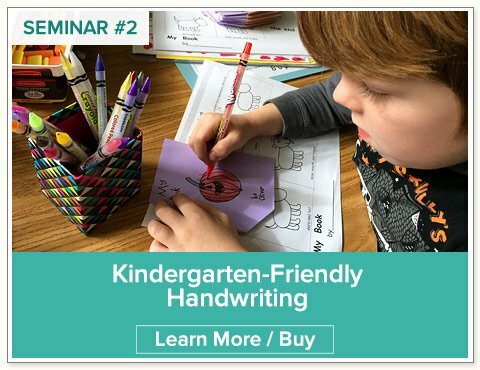 Encourage the teachers to subscribe to and read Nellie Edge kindergarten blogs; these weekly posts wrap around the seminar content. 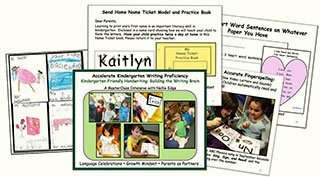 Nellie Edge’s Teachers Pay Teachers (TpT) store, our video clips and Kindergarten Pinterest boards provide additional, carefully curated resources. Kindergarten Writing and The Common Core: Joyful Pathways to Accelerated Literacy, Nellie Edge, Nellie Edge Resources, 2015. Mindset: The New Psychology of Success, Dr. Carol S. Dweck, Ph.D., updated edition, Random House, 2016. Visible Learning for Teachers, Dr. John Hattie, Routledge, 2012. Best Practice Bring Standards to Life in America’s Classrooms, Steven Zemelman, Harvey “Smokey” Daniels, Arthur Hyde, Heinemann, 2012. What Really Matters in Response to Intervention: Research-Based Designs, Richard L. Allington, 4th edition, Pearson, 2009.